Are you looking for huge emotions and the fight of your life? Tuna fishing is for you! 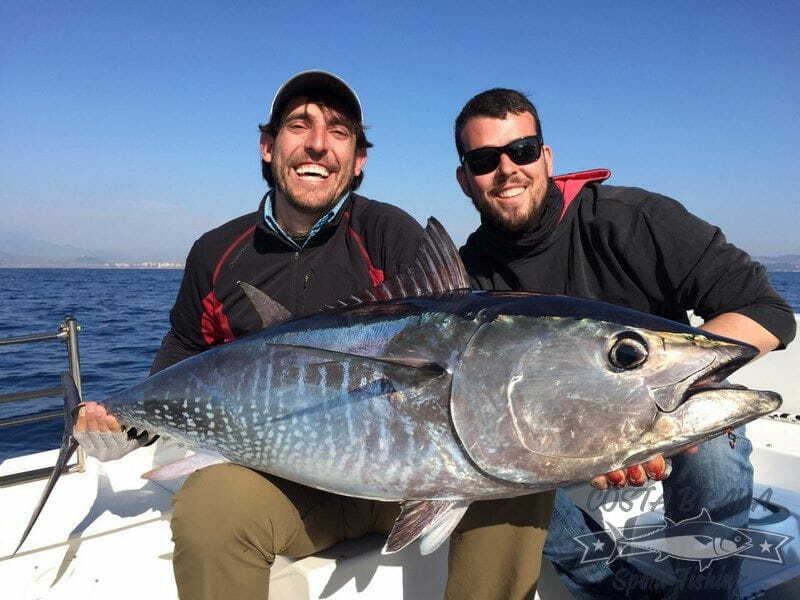 Fishing tuna it's not a 100% guaranteed catch, but in Blanes we almost guarantee catches in our charters, Blanes is one of the best hot spots in Spain. 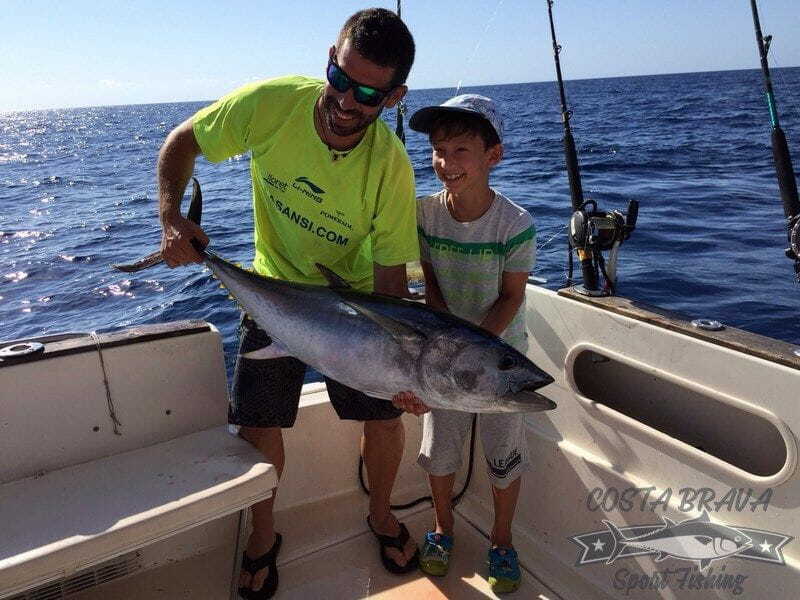 There is nothing more exciting than stay in open sea searching for birds, bait fish or any other sign that help us to find the locations of tunas. The strike and the battle against a tuna will make you lose your mind, tremble your knees and fill up yourself with adrenaline. You'll be fighting against maybe the most powerful fish in the ocean. We practice catch and release with all the tunas. We use stand up gear to can live a face to face fight with this titans of the sea, making the dreams come true for any fisherman. At the beginning of march this titans come from the Atlantic ocean to the Mediterranean sea for his reproduction, and when they return hungry is the perfect time to catch them. There's not a better place in the Mediterranean sea than Blanes for tuna fishing. Only 5 miles to the best hot spots. 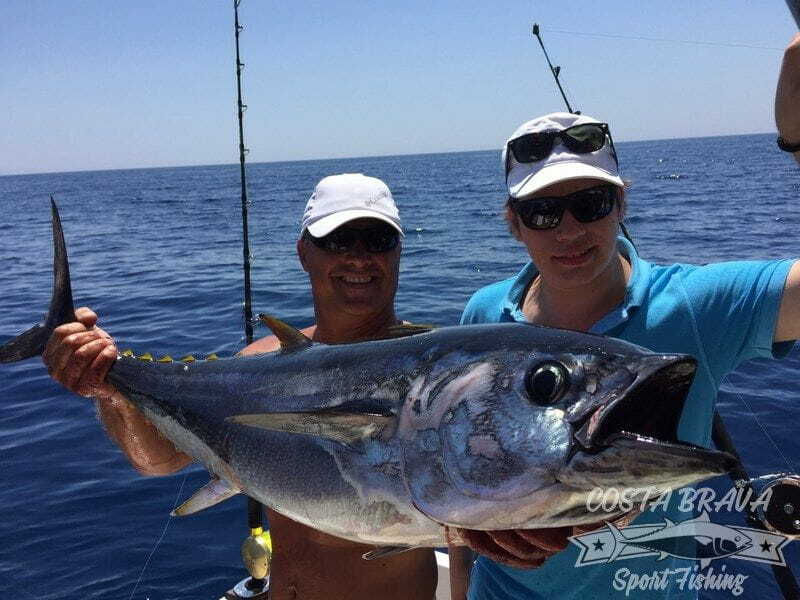 If you contract a charter with Costa Brava Sport Fishing, you will obtain more fishing time, because we need less time to arrived to the best spots. Usually we troll at 7 knots with 5 to 8 30 lb fishing rods. Strike on! Stop the boat and the fight starts (stand up gear). 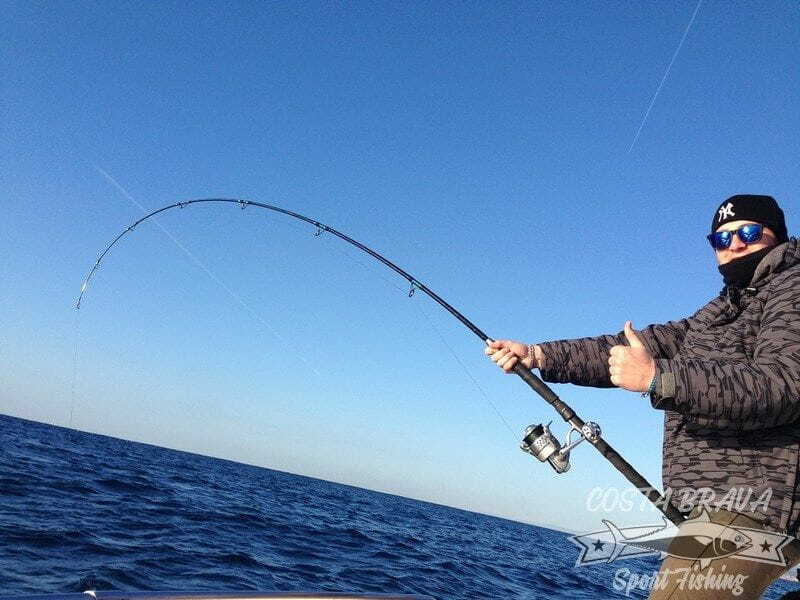 More than one strike at the same time is normal, excitement aboard at the maximum level! Lures: Halco or Rapala minnows and soft-bodies lures and teasers. Fishing gear: 30 to 50 lb rods and reels. 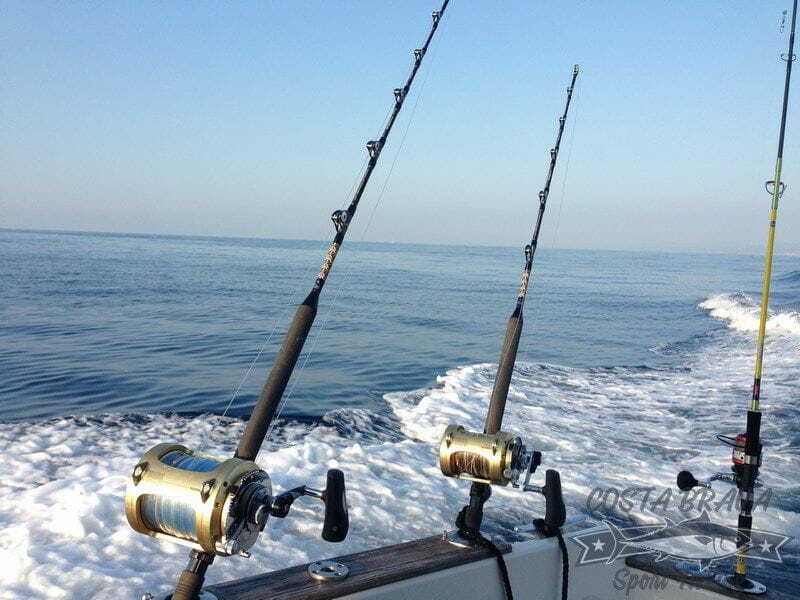 Fishing area: Blanes and Palamos canyons, from 20 to 40 milles offshore. With this technique, we fish anchored or drifting, chumming with sardine and mackerel. We use 50 to 80 lb gear in a 80 to 200 mts. deep zone.  At the same time, you'll catch some live bait and practice bottom fishing, making the day more fun while waiting for the giant tuna strike. Fishing gear: 3 x 50 to 80 lb Shimano Tiagra rods and Black Magic fishing harness. Species: Bluefin tuna from 50 to 200 kilos, albacores, blue shark, swordfish and rays. Fishing season: Two fishing periods: when they come from the atlantic to their reproduction areas (May and June) and after his reproduction (August and October). This is the most exciting and thrilling technique, due to the fact that we fish when we see the tunas, throwing our lures to the big banks of tuna feeding frenzy on surface. Lures: Poppers, stickbaits, soft lures and small jigs. Fishing gear: Two rods with Shimano Saragosa 10000 reels. 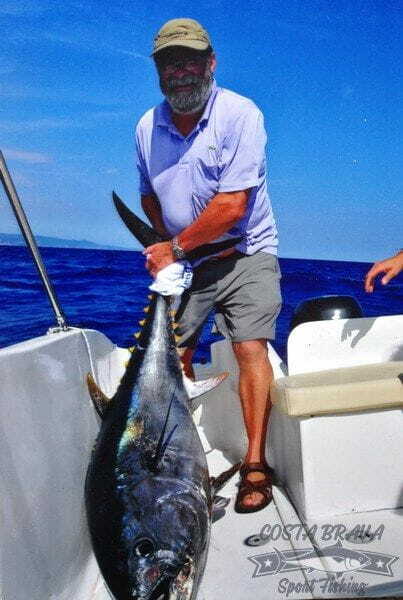 Species: Bluefin tuna from 20 to 50 kilos. Fishing area: inshore, from 1 to 10 miles.